Sorry I’ve been so busy, I haven’t had time to make a post. But I did want to pop in and share an article that ran in the Kansas City Star earlier this week. It’s about a new series of books, for young African American girls, written by Derrick Barnes. 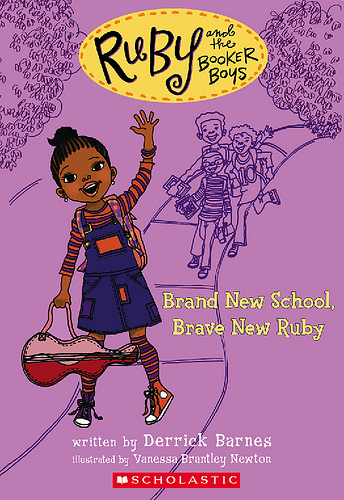 Ruby and the Booker Boys is one book in 11, published by Scholastic. My neices are going to love this! I’ll be back soon, with lots more books to share. I’ve heard good things about this series. And Derrick Barnes is no stranger to children’s fic though I think this is his first foray into the younger market. His first was upper YA. Hooray for more books for this audience. I know we still need more for the boy readers, but one step at a time, I guess.